An exciting 2018 got underway with new pairings looking to become the number ones. 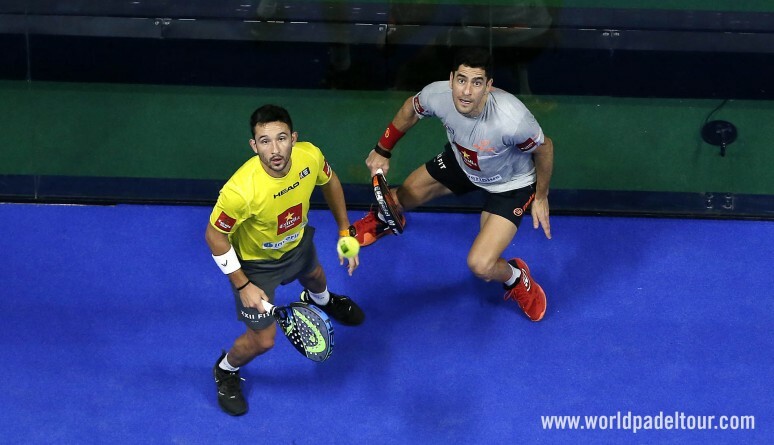 Fernando Beasteguín and Pablo Lima still held on to the World Padel Tour crown but the fierce competition was going to offer us a year full of spectacular battles. Juan Martin Diaz was back after over a year out injured and lined up alongside Paquito Navarro. Matias Diaz teamed up with Ale Galán, Stupa and Cristian continued together and Sanyo Gutierrez and Maxi Sanchez presented themselves as the main threat to Bela and Lima. A journey of sixteen tournaments which ended with Maxi Sanchez and Sanyo Gutierrez on top of the World Padel Tour thanks to their eight titles. The icing on the cake to a memorable year was a phenomenal Estrella Damm Master Final. There is no doubt that we're in a new era for world padel and 2018 will go down as a record breaking year.